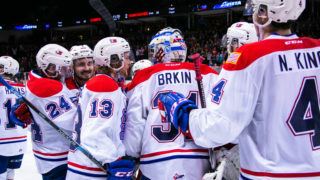 SPOKANE, Wash. – Philadelphia Flyers prospect Carter Hart earned his ninth shutout of the season on Wednesday night as the Spokane Chiefs fell to the Everett Silvertips, 4-0. 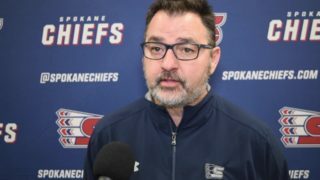 The loss, combined with Portland’s 5-4 win over Prince George, officially eliminated the Chiefs from the WHL Playoffs for the first time since the 2005-06 season. The Silvertips got the scoring underway early in the first period with a pair of rebound goals, beginning with Cal Babych’s first of the season at the 5:48 mark. The veteran forward took advantage of a Pavel Kousal turnover directly in front of the Chiefs’ net, collecting his own rebound to get the puck past goaltender Jayden Sittler to make it 1-0. Immediately after killing off a Noah Juulsen checking from behind minor penalty later in the opening frame, the Silvertips struck again as Devon Skoleski scored his 20th of the season, getting just enough on a rebound of a Sean Richards shot from the left circle to make it 2-0 with 11:44 left in the first. 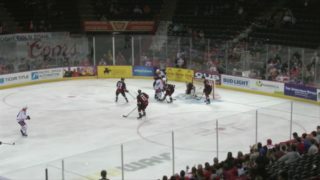 Everett added to their lead just under five minutes into the second period as defenseman Jake Christiansen found former Chief Dominic Zwerger with a stretch pass. 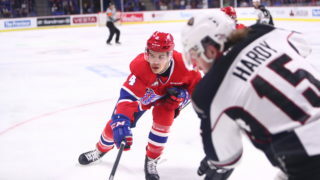 The Austrian winger, who received a warm ovation from the home crowd after his last game at Spokane Arena, deked to his backhand to beat Sittler for his 25th goal of the season. Former Edmonton Oil King Aaron Irving made it 4-0 barely a minute later as his slap shot from the right point deflected off a Spokane skate in front to sneak inside the left post at the 5:57 mark. The Chiefs finished the game 0-for-6 on the power play and 6-for-6 on the penalty kill. Sittler turned aside 32 of 36 shots faced while Hart was perfect in 17 chances for Everett. 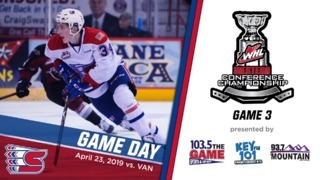 Spokane remains home for back-to-back games this weekend, beginning with Numerica Ice Machine Piggy Bank Giveaway Night on Friday versus Portland. The first 2,000 fans and all full season ticket holders will receive a miniature ice resurfacing machine that doubles as a piggy bank! 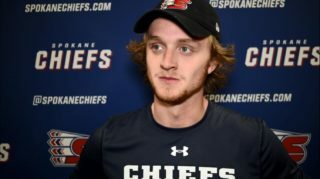 Tickets for Friday and all remaining Chiefs home games are available in-person at the Chiefs’ Ticket Office, over the phone at 509-535-PUCK and online at ticketswest.com and spokanechiefs.com.